If you are friends and family we hope you enjoy the pictures and accounts of what our sailing life is like and continue to look through it for years to come. We’d also love to have you aboard! If you’ve stumbled upon our site we hope you enjoy the content as well! Please feel free to contact us if you have questions about anything in particular you see. Disclaimer: We apologize if the text is boring, this is first and foremost our log book i.e. 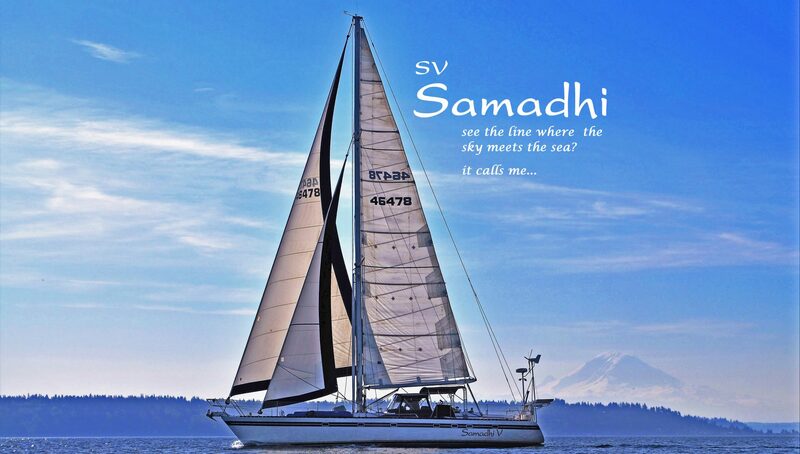 an account of what we did, saw, etc on each outing aboard Samadhi. And is for us to look back and remember. Other times you’ll just see pictures with a date and maybe location. Those are usually for the times we forgot to log the adventure and later find the pictures but have no other information on the day. Hopefully, as we get used to logging our trips, these will become fewer and farther in between BUT as we’re catching up there might be quite a few. Right now we’re about 2 years behind!